Yogurt stains are a protein-based stain like milk and cheese. The protein part of this stain is what makes the stained area yellow and darken with age. Protein-based stains need enzymes to remove all parts of the protein from the fabric fully. A good enzymatic stain remover or a laundry detergent with enzymes will be necessary to get best results. Protein-based stains also often need to soak in water to get the best stain removal. 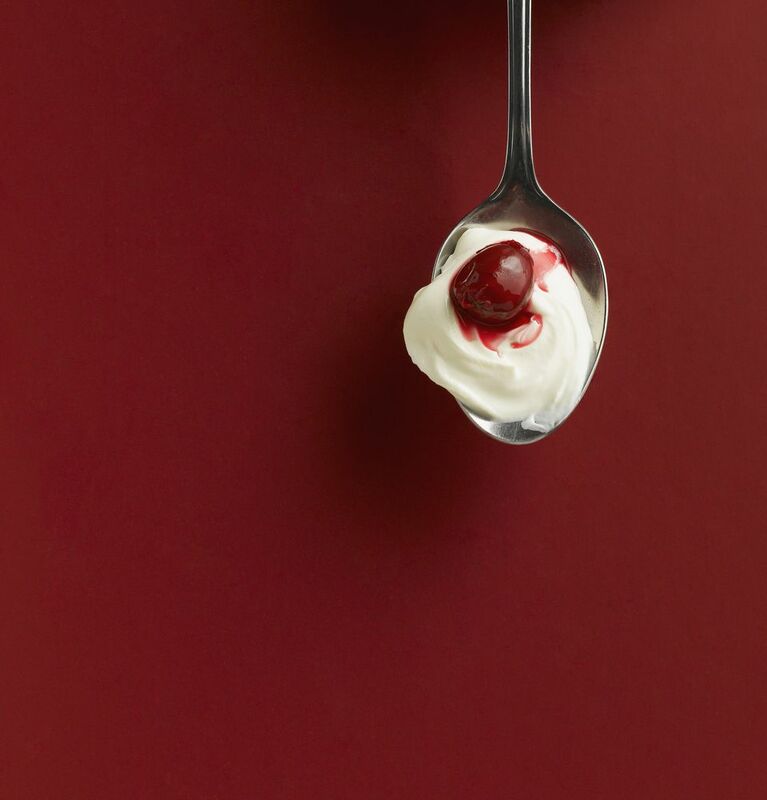 For fresh yogurt stains, you'll need to start by using a spoon to gently scrape away any excess yogurt from the clothing. You can also use the back of a butter knife. Don't dig too deeply into the fabric, but try to remove any yogurt that hasn't soaked into the fibers. Next, soak the stained area in cold water for 5-10 minutes. Don't use hot water since it will set a protein-based stain. If the stain remains, add laundry detergent to the stained area and soak again for 30 minutes gently rubbing the stained area every 3-5 minutes. Apply a stain remover to the area and allow it to sit for 7-10 minutes to soak into the stain. Rinse thoroughly and repeat these steps until the stain is gone. Wash according to the directions for your clothing and air dry to be sure the stain is fully removed. For dried stains, start by rubbing laundry detergent on the stained area and soaking for 30 to 45 minutes. Every 3-5 minutes gently rub the stained area before returning it to soak in cold water. Finish by applying a stain remover and allowing it to sit for 7-10 minutes. Rinse thoroughly and continue to repeat these steps until the stain is fully removed. Do not dry the clothing until the stain is completely gone. Old yogurt stains can be very tough to remove. If you've tried all the steps for dried yogurt stains and still have a stained area you can try mixing 1/4 cup of baking soda with 1/4 cup of water and spreading that over the area. Allow it to completely air dry before continuing with the steps for dried stains. Sometimes the baking soda can help pull parts of the stain out of the fabric. If the clothing is white, you can try to use bleach to remove the stain as well, although this could damage any patter or the fabric itself. Mix a few drops of dish soap with 2 cups of cold water. Use a clean white rag to gently sponge the dish soap and water solution onto the upholstery. Use a separate white cloth to gently blot up the solution until the stain and wetness are gone. What Are 6 Easy Steps to Remove Barbecue Sauce Stains?